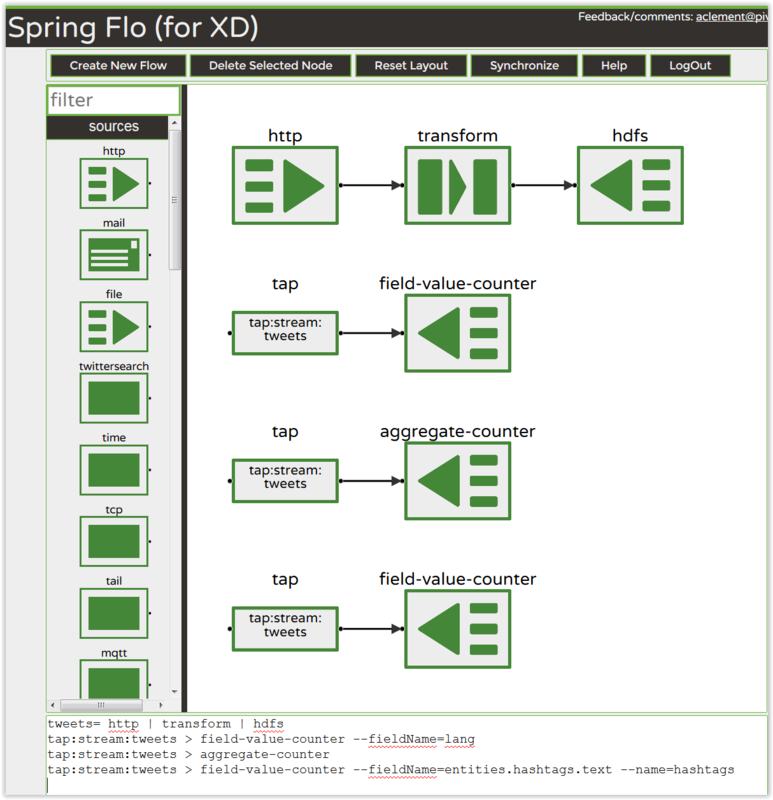 Six months after the 1.0 GA release, the team is happy to announce the availability of Spring XD 1.1 GA.
* 1.1.0.RELEASE: zip, homebrew, yum. Please read Sabby Anandan’s blog for a general overview of Spring XD. Specific to 1.1, a ton of features have been added. Here are some that will give you the most bang for your big data buck. Easily develop, test, and package custom modules and upload them to the admin server. Support for Pivotal, Hortonworks, and Cloudera Hadoop distributions. There are two dozen sample applications available, so check them out. As a sneak peek of things to come, Andy Clement and his team are working on an amazing UI for authoring and monitoring XD Streams. Here is a screen shot based on the analytics-dashboard application.